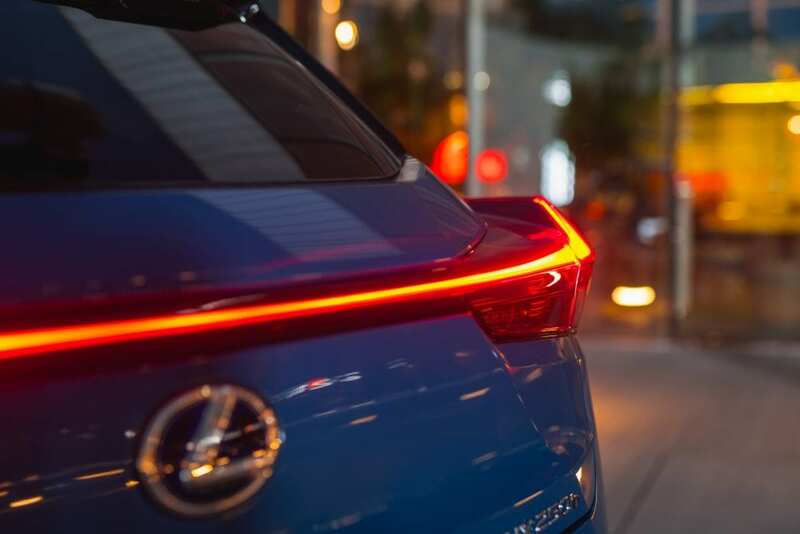 While not wishing to sound in any way misogynistic, Iain Robertson believes that Lexus is producing currently some of the sexiest and most alluring new cars of an era, an impression he has felt since the launch of the LC, RC and now UX models. Providing solutions to perceived problems, however minor, has been the Lexus remit ever since the brand first arrived in the UK. The luxury arm of Toyota (its ‘Audi’) has never endured less than an uphill battle to both make its mark and build vital degrees of exclusivity. When I tested the miraculous LC500 high-performance model at the start of 2018, I recognised that Lexus was on the cusp of true greatness, not suggesting that any of its former efforts were much less than marvellous. The latest addition to the company’s gently growing UK range is the UX. If specified with the red leather and Alcantara interior, it could be called the family car version of the gorgeous LC. It is utterly beautiful inside, with an exterior design that is as memorable and likeable as its ‘lesser’ little brother from Toyota, the CH-R. I have always believed that Toyota is a brand worthy of closer focus and this latest UX simply proves that theory. Styled by Stephan Rasmussen, at ED2, Lexus’s design studio in the South of France, the brief was to create a new genre of crossover, a vehicle that would progress the ownership experience and create something truly unique. Studying ideas from innumerable sources, the main thrust arose from the statement ‘secure yet agile’. Key to the car’s design impact are its human-centred qualities and a seamless blending of the inside and outside of the vehicle, inspired by engawa, a traditional Japanese architectural concept. An early UX concept model was revealed at the 2016 Paris Motor Show and the positive reception it attracted inspired the firm’s Chief Designer, Tetsuo Miki and his team, to create a road-going version. Guided by the basic principles of the philosophy, they developed a ‘human-centred’ and ‘pioneering’ spirit that is evident in all aspects of the UX. 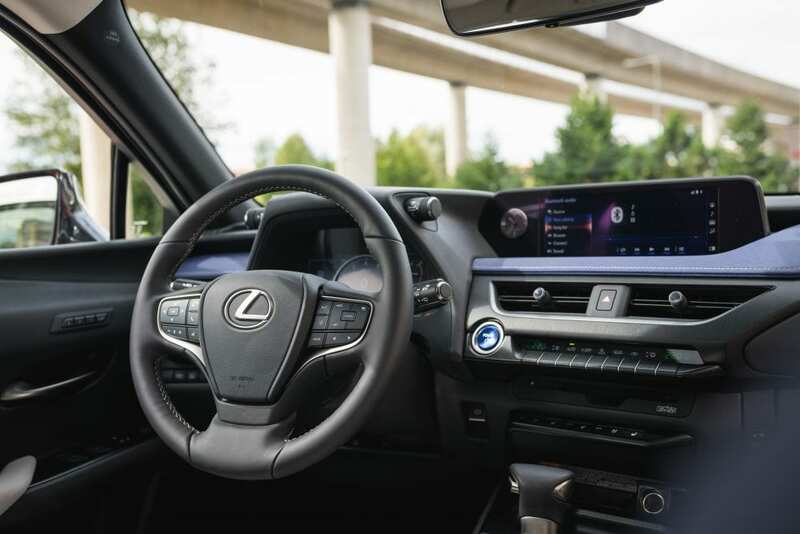 The amount of detail intensity explored by Lexus in creating the UX is the stuff of legends. As the car doors are the inevitable first point of contact for humans, a substantial investment has been made in creating just the right sound and tactility to provide high-quality enhancements to each opening and closing. Every car leaving the Japanese (Kyushu) plant is subjected to close inspection in this area. 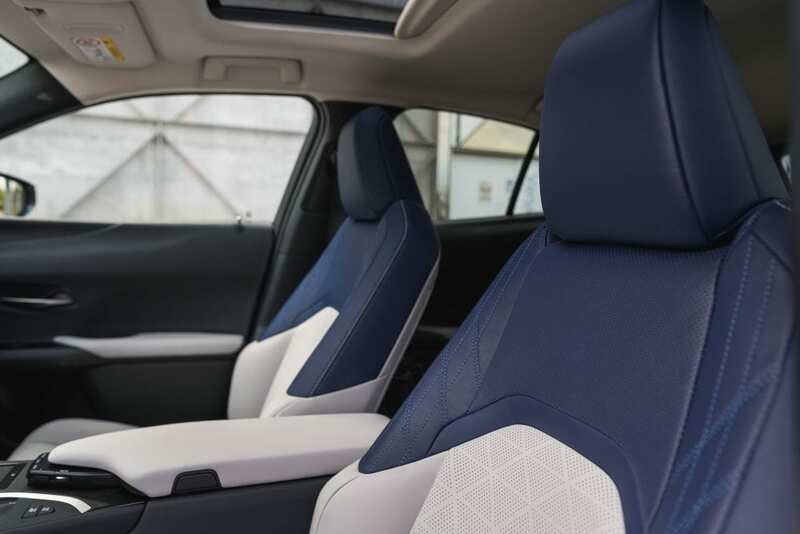 Having remarked before about Lexus delving into Japanese history, when you encounter the seat stitching pattern on the UX be aware that it follows Sashiko form, essentially the same as on Kendo and Judo uniforms. It is both artful and practical, measures that are also introduced on the slim-line air-vent controls, which are LED backlit wirelessly and three-dimensionally, affording them a depth perception that belies the actual size of the control. It is magical. Opening and closing the power windows, all of which feature non-entanglement and non-entrapment functionality, is a completely silent action. Using brushless motors is a clue but, with in-door anti-vibration pads and encapsulation, the actions are smooth and painlessly high-quality. However, user-friendliness even extends to the windscreen wipers. While they feature rain sensors, they also slow down progressively to avoid driver distraction. Yet, the really clever bit lies in them pausing, as occupants alight from, or enter the UX, so as not to splash them. It may seem ‘silly’ but it is eminently obliging and in the politest vein of Japanese manners. Although far from a final example of Lexus’s pursuit of excellence, behind each precision-fit hatchback is the most practical of rear luggage covers. Unlike most types of tonneau, that of the UX can be folded like a net and stowed within the boot, demanding minimal space. However, it is the driving of the hybrid UX that is a sheer delight in terms of both smoothness and frugality. Priced from around £29,900 (the F-Sport model tested is around £35,000, with a 4WD variant costing slightly more), it is inevitable that the new UX sits close to the top of the charts. Grip levels are amazingly high, the car’s virtually roll-free cornering stance highlighting its surgically precise steering responses and exceptional body control. A version of the adaptive damping fitted to the aforementioned LC500 model, when specified, provides almost disarming flexibility in its dynamic packaging, to ensure that ride comfort is maximised across a wide speed range. 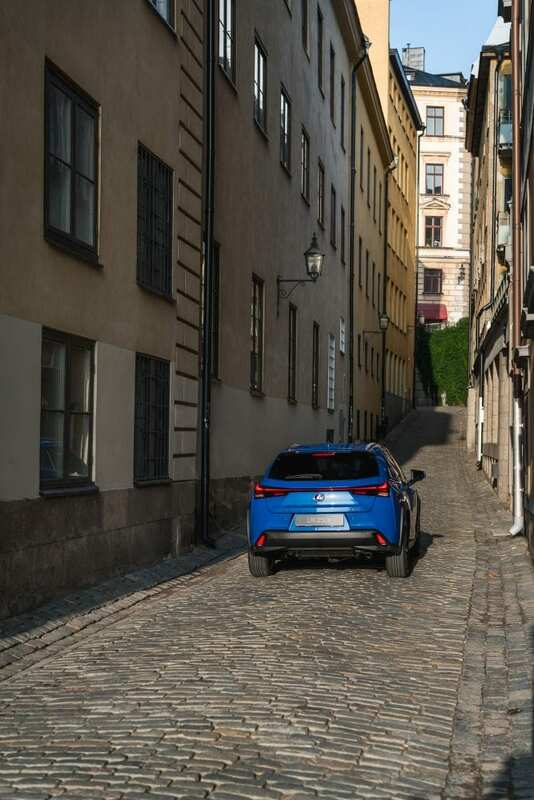 The engine is all-new, even though the hybrid elements will be familiar to drivers of the CT200, or Toyota Prius models. The 2.0-litre displacement petrol engine develops 176bhp, in conjunction with its electric motor. Naturally, as a hybrid, it is a self-charging unit, as yet unavailable with a plug-in option. However, it is capable of a couple of miles EV operation, although its system is geared more to enhancing its overall performance. Capable of covering the 0-60mph dash in around 8.3s, with a top speed of just 110mph, it might not be the speediest of hybrids but it can return around 65mpg, while emitting a tax-friendly 103g/km CO2. Its transmission is similar to a CVT but the paddles mounted on the steering column act as part of the energy generating system (brake recovery), rather than a set of ratios. Used properly, most drivers need never touch the brake pedal, unless coming to a grinding halt, as various settings allow increasingly aggressive slowing of the vehicle to little more than crawling pace. It feels odd to begin with but familiarity soon builds and the UX’s brake pads could even last the life of the car! 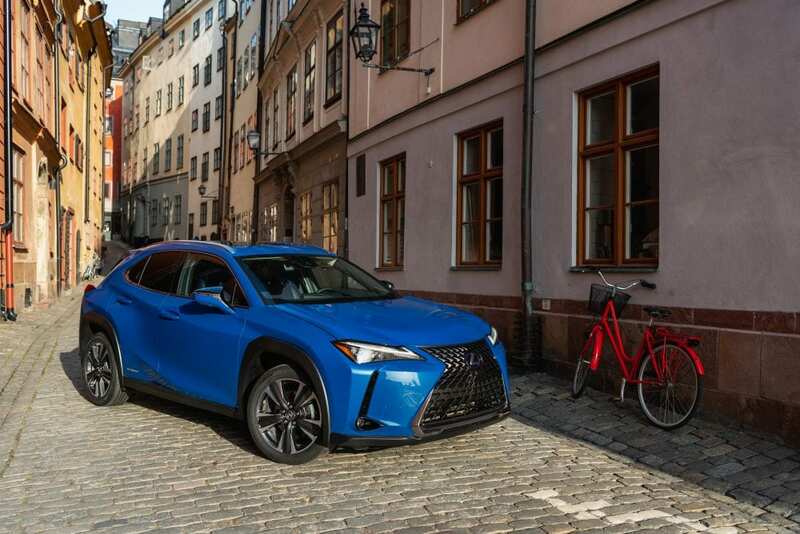 Overall, I like the Lexus UX, in much the same way that I fell for the Toyota CH-R a couple of years ago and just look at how successful that model has been for Toyota. Conclusion: When it boils down to attention-to-detail, Lexus sky-rockets to the top of the class. 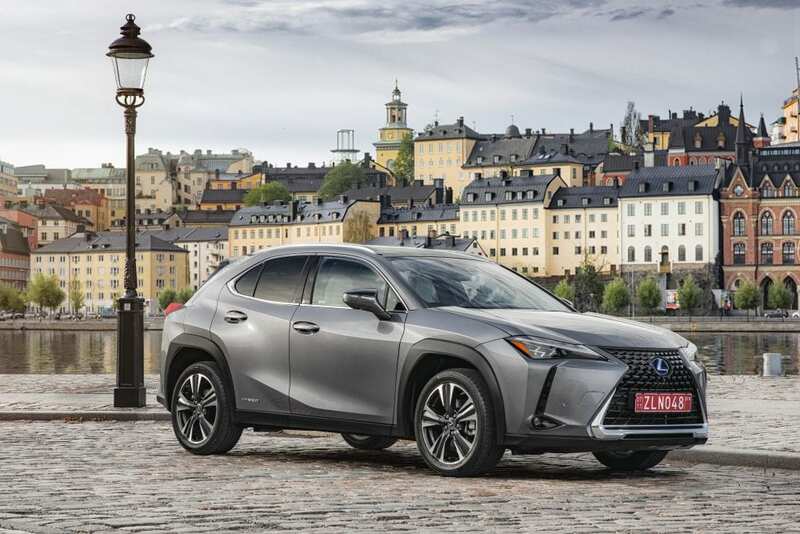 Imparting an air of effortlessness to every aspect of its excellence, the latest Lexus UX, due very soon, is the new benchmark in the luxury SUV category.